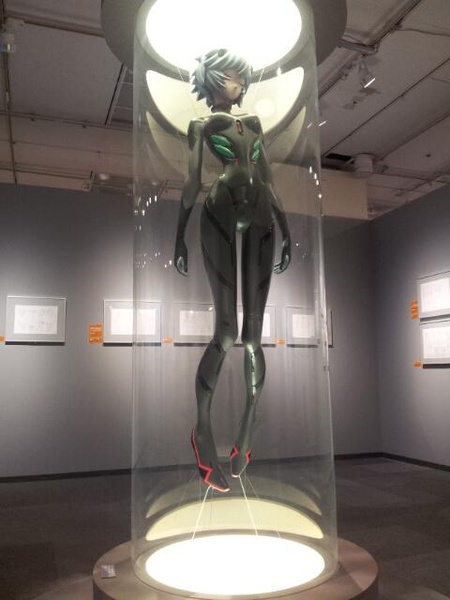 The Evangelion Exhibition has just opened in Matsuya Ginza, Tokyo; the exhibition has over 1,300 pieces of artwork and production materials on display, including original drawings, model sheets, artwork by Yoshiyuki Sadamoto and around 30 original drawings from latest movie Evangelion: 3.0 You Can (Not) Redo. The exhibition shop, Evangelion Store Ginza, has over 2,000 items for sale, from picture books to limited pre-sales items. 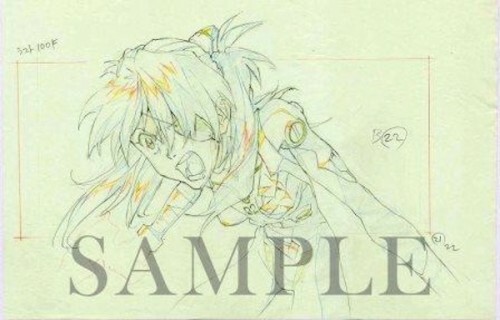 The exhibition is split up into four areas: “Chapter 1: History of Evangelion ” explains the origins and background of Evangelion‘s story and characters, and features an introduction by production staff and a display of celluloid pictures and storyboards; “Chapter 2: Making of Evangelion ” showcases over 1,000 illustrations, storyboards, landscape layouts, and original drawings on the walls, and also features a five-minute battle scene video from Evangelion: 1.0 You Are (Not) Alone; “Chapter 3: Settings of Evangelion ” contains around fifty model pictures of characters and Evangelions, and features a life-size model of Rei Ayanami; and “Chapter 4: Rebuild of Evangelion ” displays original drawings of the famous scenes from the recent trio of films (1.0, 2.0 and 3.0) for the first time. The exhibition is open from 10am – 8pm, and will run until 26 August. Tickets are ¥1,000 (£6.50) for adults, ¥700 (£4.50) for students and free for children under 16.